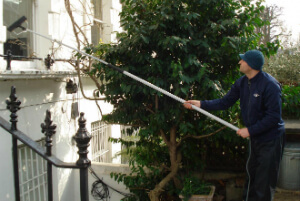 Commercial & Domestic Window Cleaners Merton SW | Quality Property Care Ltd.
Don't miss the possibility to finally get rid of the dangerous and long-lasting residential or domestic specialist cleaning task. Rely on our professional window cleaning company! We would certainly be glad to help you. Get in touch with our kind and helpful client support associates via this phone number 020 3746 4287 and get all the details you want today! Quality Property Care Ltd. delivers domestic windows cleaning and commercial windows cleaning to all residents and businesses in Merton SW and the region. The window cleaning is done by very well trained, vetted and skilled windows cleaners, who use the telescopic water fed poles to first wash off and if necessary scrub off the dirt, and then to rinse everything off. If the frames and sills are from PVC, they can be washed as well. The purified water contains no minerals or residue, so it is kept to dry the natural way and leaves no spots or lines. Plus, it helps guard the windows from dust buildup for longer. No ladders are used and no manual scrubbing, so there is no peeking inside your home or office by the cleaners. Quality Property Care Ltd. is a highly rated window cleaning company in Merton SW. It was established back 10 years ago. Through the years we have realized that customer`s satisfaction is the best price we get from our services. The domestic and commercial window cleaning service is one of our top achievements based on innovative strategy, fast speed and minimum danger for the clients and the window cleaners. Streaks absolutely free process with purified water only! No greasy or sticky stains after window cleaning any longer! We are providing a suitable outside window cleaning for shops, big bay windows, displays, domestic buildings up to 4 stories in height, conservatories, garden windows and even gutters and patios. If you have a store on a busy street and want that window cleaned, we can support your needs, no extra fees, no hassle. We take our own equipment, fully prepared to tackle any spot or window cleaning situation that you want fixed. We bring ladders, gloves, detergents, towels squeegees, vacuum, dirt extractors, telescopic poles for the squeegee and some pure water. To keep the inside of your property or home clean, our team uses overshoes to reduce the dirt visibility of the windows. Depending on the spots in question, we use simple water or a detergent. Sometimes a wipe down with a micro fiber towel to remove fingerprints is sufficient. This is performed using our water purification system linked to a water fed pole. The whole system sits compactly in the van, allowing for flexibility. A water purifier strips standard tap water off of its minerals and other chemicals, leaving it a bare H2O compound. This type of water is called purified water, it links a lot more speedily to grime and dirt due to its denaturalized state. There is no trick, no smoke and mirrors, no tricks, only simple pure tap water eliminating accumulated dirt and grime form your windows. Our cleaner starts from top to bottom, initiating with proper window frame and sill cleaning to removing any debris and grit, then he moves onto the glass itself. If the day is particularly windy we hand dry the window with cloths to stop further saturation. Just phone call 020 3746 4287 or send an online booking require, and our customer care support will be back to you right now. You will get written verification for the booking. There is no deposit necessary, and you will pay only after the service has been completed. The payment methods accepted are flexible. No covered fees, and big discounts for returning customers or for those ordering more than one service at a time.